From a comfortable vantage point in North America, making aliyah can seem as daunting as climbing Masada. 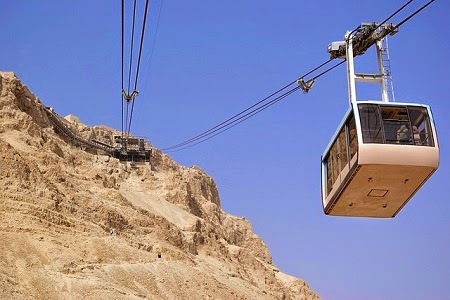 Luckily, at Masada, there's a cable car... and for aliyah, there's this blog, and other great resources. I'm in Canada right now sitting shiva for my brother, but I hope this article will be helpful in deciding whether this move is the right one for you. 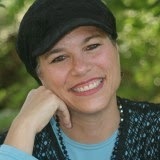 Its writer, life coach Yehudit Yosef, M.S.W., A.C.C., E.F.T.-CC, made aliyah from Chicago to Jerusalem in 2000. Aliyah is the term used to express when someone moves to Israel. 1) Is it for you? If this question applies to you, the only way to answer it properly is to have a chat with yourself. Sounds crazy doesn't it? What I'm referring to is to get quiet with yourself and meditate; think/ponder/play with the idea in your mind. know if this is the right step for you. Your inner self knows your truth. 2) If yes, then, where to start?? and got your own answer. So, is it time to buy a plane ticket? Not necessarily. Now, it might be a good time to write down all the reasons worth making the move. What value will this move have for you/your family? how to begin to bring the dream to fruition? This might be a good time to begin to gather information to your situation. There are specific organizations which assist with the Aliyah process. They have websites and meetings. at: http://www.authentichappiness.com which has a survey called the VIA which allows people to get a clearer picture of their character strengths [NOTE: I think this link is now broken; sorry!]. It consists of 240 questions which can help one determine their 24 greatest strengths. Equipped with these strengths, you can now apply your greatest assets to accomplish the more technical details of making the move. time to become specific about details such as community, employment and schools. Our subconscious mind cannot differentiate between reality and fantasy. our spiritual connection, what shape you would like your reality to take/reflect. "You want to do WHAT??" These messages need not hinder us in ANY way. self/subconscious mind, here too, we can show ourselves a new way of thinking. active steps to let go of them and the need to hold on to them. There are other techniques as well. and community issues which you have organized towards embarking on your journey. will bring about a smoother transition. One easy way to do this is to keep a daily gratitude list. during the move and subsequent klita/absorption. over which we may have no control. If you're thinking about aliyah, what other big questions are you asking yourself these days?